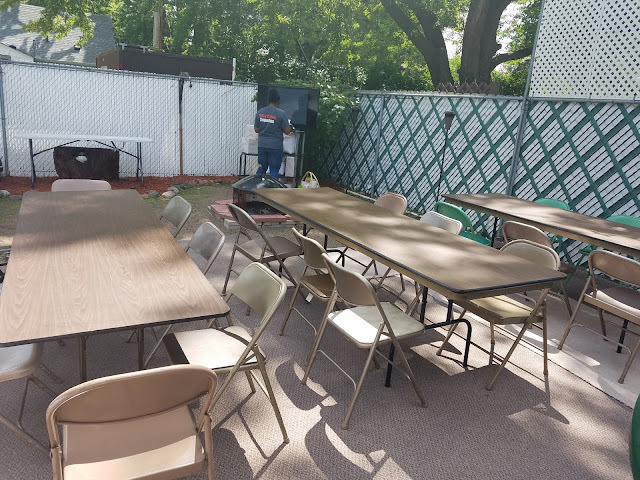 D. Balentine Events, LLC: Backyard Transformation! 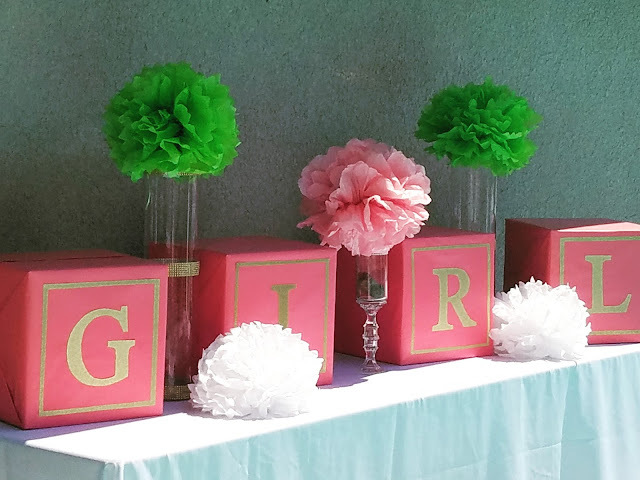 This past weekend I had the opportunity to decorate for a poolside baby shower, the guest of honor was Minneapolis Mayoral candidate Nekima Levy-Pounds. 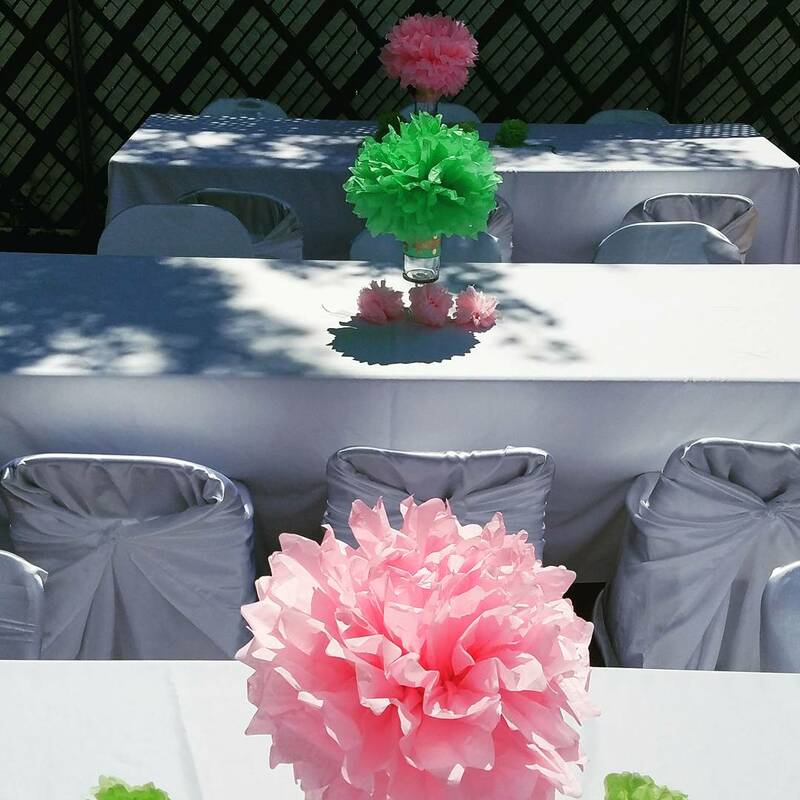 As we all know, hosting events outside can have its challenges especially with the weather. Although it was a beautiful sunny day, there were a few issues with the wind. So I used lots of tape (and a few rocks) to secure everything in place! 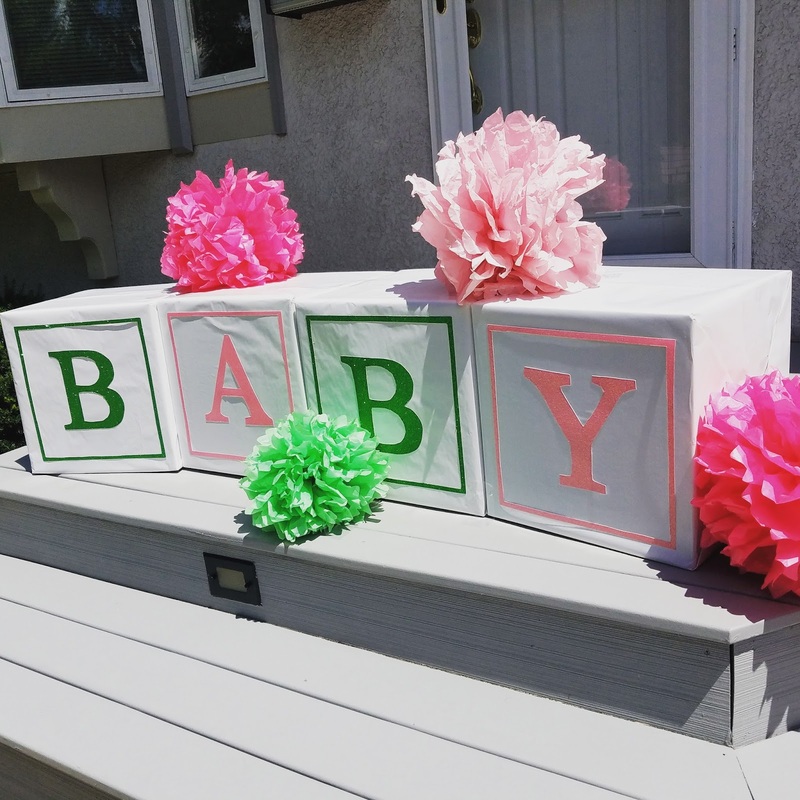 The expecting mother chose the colors of her sorority Alpha Kappa Alpha, which is pink and green. 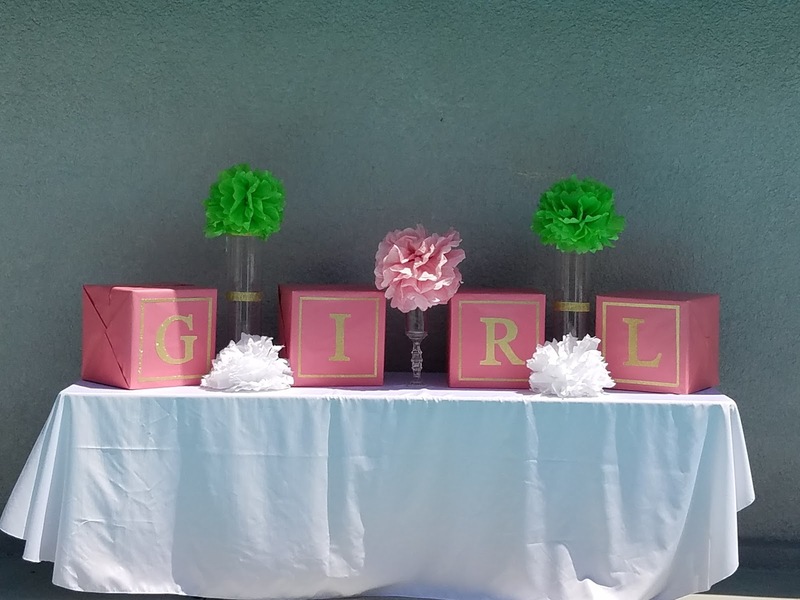 The shower was a success, and the guest of honor and her guests love the decorations! This was also my first time creating the life-size baby blocks, I was pretty happy with the results! Here is the before picture of the backyard prior to me decorating. And here is the after! It's amazing how white tablecloths and chair covers can really transform a space! 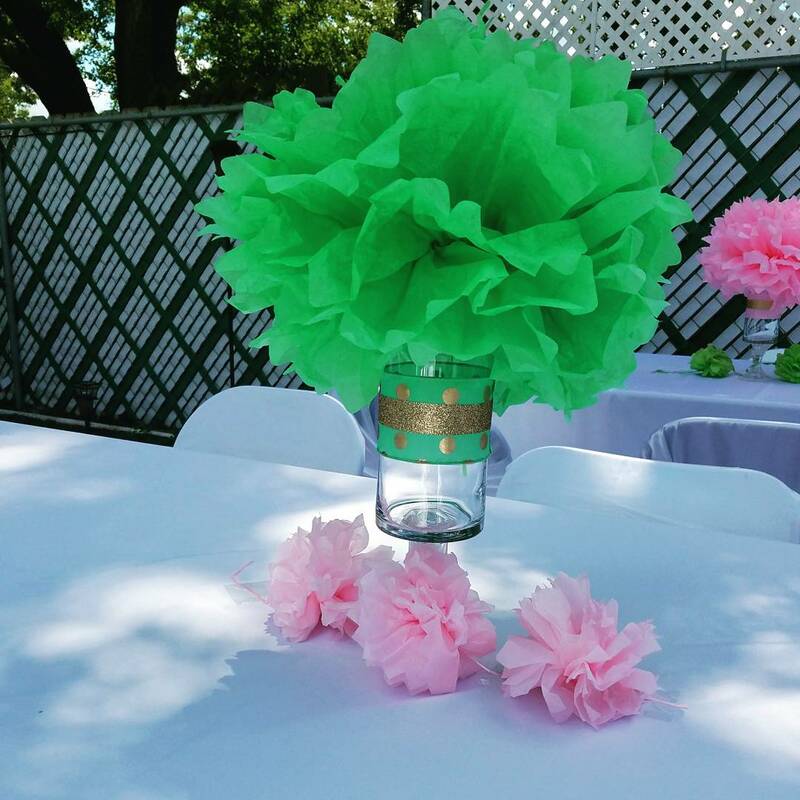 And of course, I used my favorite paper poms for the centerpieces! 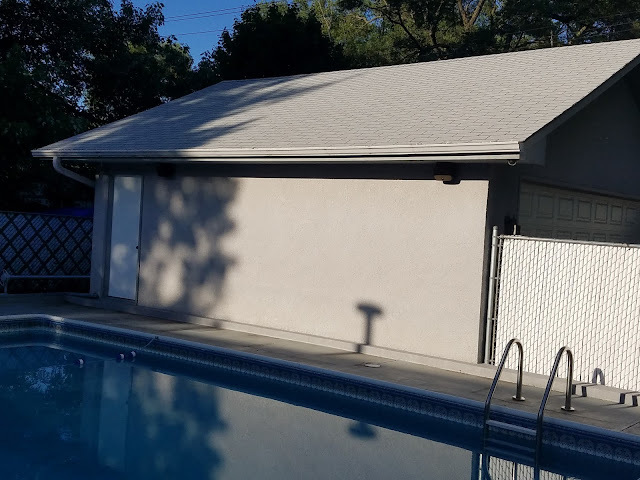 This wall of the garage was a perfect canvas to add a focal point for the baby shower.